After some quite heavy convincing sessions to lure back ye olde mighty Ingrid from her lair, we finally made some progress and we received her confirmation after having performed a ritual she required. Thousands of penguins were tamed to chant the Swedish national hymn (it sounded awful) while we harvested the mythical cloudberries under a full moon while virgins served Punk IPA to us. A few penguins were lost and we have virtually no idea where they are so please let us know if you see a gang of tuxedo dressed midgets looking suspicious while eating frozen fish in your neighbourhood. Anyway, I went to BrewDog in Aberdeen to meet up with the great fellas James Watt and Martin Dickie, who started BrewDog about 5 years ago. Mission: To deliver cloudberries for a batch of Hello, My Name Is Ingrid that will have a new premiere at BrewDog Bar Stockholm when we open shortly. 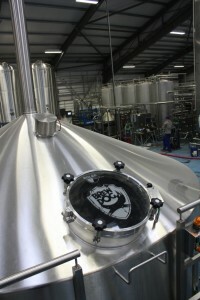 BrewDog have invested heavily (8M£!) 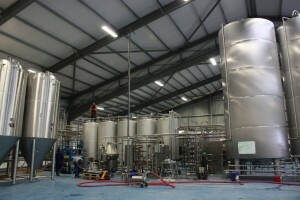 in a massive new brewery in Ellon, just outside of Aberdeen, in order to meet the demands for their beer. 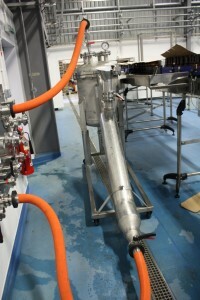 It is really cool to walk around assisted by Martin Dickie and see the excitment and passion in his eyes when he tells me about their new hop cannon, their centrifuge, the bottling machine, the wort boilers, all the fermentation tanks and so on. While sipping on the Abstrakt 12 at the brew tour, we talked alot about the Abstrakt-series, which is BrewDogs special brew series where every beer is brewed only once, and how much Martin will miss that when the series is over. Martin designs all the BrewDog beers and his favorite is the Abstrakt 4. 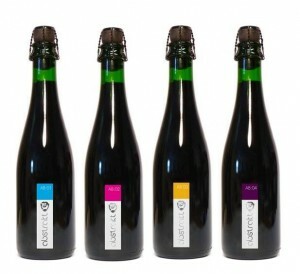 From start the Abstrakt series was just to be brewed in 16 different styles, and as much I was looking forward to see how outrageous the final Abstrakt would be, I was equally exited to hear that Abstrakt will continue forever, wohoo! 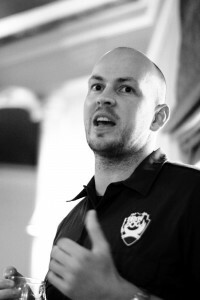 MB: BrewDogs largest market is actually Sweden, why do you think that is? James: Sweden was our first ever export market back at the start of 2008 and is by far our largest today. I think it is because Swedish people have great taste in craft beer! The Swedish craft beer scene is definitively the best in europe and the level of passion and also beer knowledge amongst drinkers there is amazing. The Stockholm Beer & Whisky Festival is my favorite event of the year just because the people who visit it are so enthusiastic about great beer. 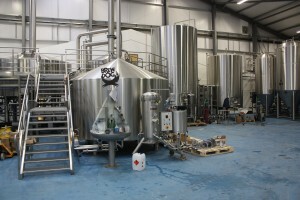 MB: After only about 5 years you have expanded distribution of your beers to nearly 30 countries, outgrown your brewery in Fraserburgh and now building a bigger brewery in Ellon outside of Aberdeen. 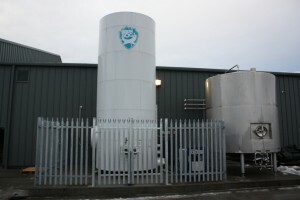 On top of that you are just opened your 10th BrewDog bar in UK. Can you give our readers a view on how a ‘normal’ day looks like for James & Martin? James: Normal – ha! Normal is just boring and pretty much does not exist for us. 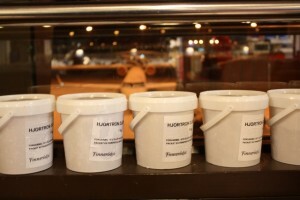 We want to redefine the UK beer scene and elevate the status of beer in our culture. And we are prepared to use any methods necessary to acheive our aim – if it means unsettling a few stiff institutions or breaking down conventions we are happy to do that. If it means dressing Martin as the Queen, fermenting a beer at the bottom of the sea and projecting an image of Martin and myself naked onto the house of parlament then we are happy to do that too. 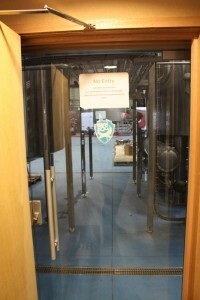 MB: What does it mean to you and BrewDog that a BrewDog bar is actually opening in Sweden and what are your expectations? 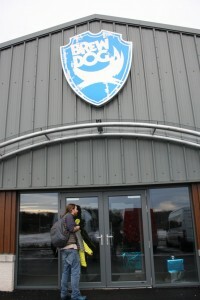 James: It is so exciting to have a BrewDog bar overseas, and especially in Sweden. Our mission has always been to make other people as passionate about great craft beer as we are and our bars are a great way to do that. We are also really excited to be working with you guys (Magnus, George and Afram) and have known you for a while now and could not think of anyone else we would rather open in Sweden in partnership with! MB: We need to touch upon the Ingrid of course as it was a massive hit in Sweden and sold out faster than any other beer at Systembolaget – what does that beer mean to you? James: We love this beer. The concept was great and the beer was mind blowing. The combination of cloud berries with a hoppy double IPA worked so well that this beer now has a huge cult following depsite the fact we only ever brewed 2 small batches of this beer. MB:Finally, can you give us a glimpse of any cool stuff happening in 2013? James: Ha. I could tell you but then I would have to kill you. Or at least kidnap you and store you inside a whisky cask in our warehouse. People can definately look forward to us continuing to do things on our own terms, continueing to blaze a trail and continuing to push the boundaries and make amazing craft beers. 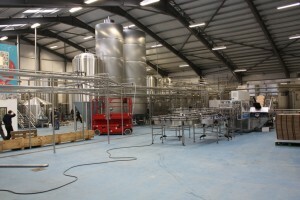 We are so excited to be finally moved into our new brewery at Ellon. 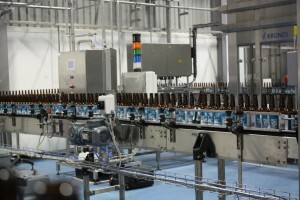 We have started packaging the beers from here recently -they already taste amazing from the tanks! 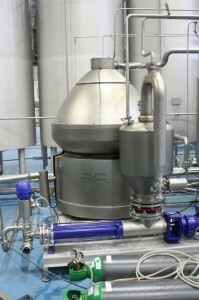 Lets hit the brewery floor! 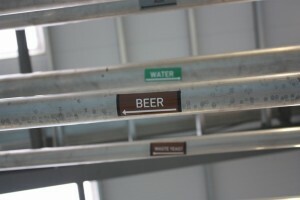 Wort kettle with a cool sign! 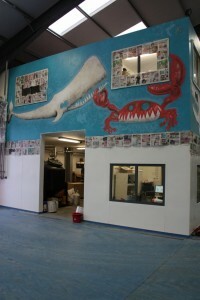 Isn’t a Whale with big shapr teeths – rather than a huge shark with a massice whale-head…..? I blame the amount of beer I was ‘forced’ to drink which made me see sharks and stuff! Did you know that in the past, people produced aprons out of the sperm whales foreskin?